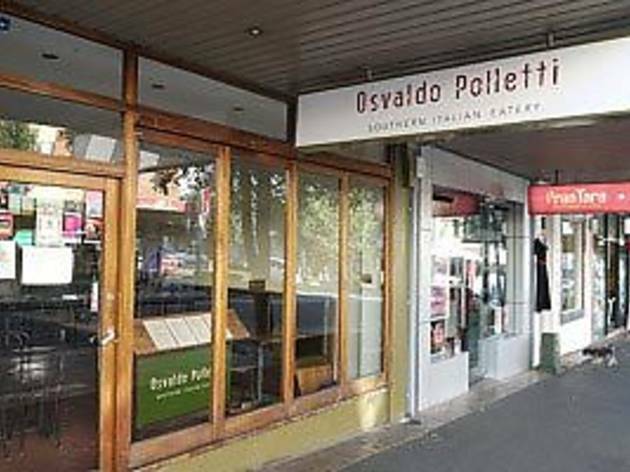 At the bottom of the menu, Osvaldo Polletti has a 'rompipalle' charge. If you're an avid Sopranos watcher you'll know what this means. For everyone else, the term means 'ball breaking'. So basically when you visit the restaurant, don't give them a hard time, lest they charge you for breaking their balls. Why you'd need to, though, is beyond us. This is the sweetest little trattoria in Leichhardt - all heart and some of the friendliest staff you'll come across. The menu changes often but what you can expect is fresh ingredients cooked with integrity, great pasta and some of the best fried olives in town. These are stuffed with goat's cheese, lightly crumbed then deep-fried. They're all crunchy on the outside, and firm, salty and squishy in the middle. Yum. Order a serve of these to share and, if the weather's warm, sit at an outside table where you can watch the human traffic churn up and down Norton Street. Asparagus is grilled and served topped with a pile of grated egg and buffalo parmesan – the crisp, green spears offset by the creaminess of the egg and bite of the parmesan. Wagyu meatballs in tomato sauce are simple in that they're exactly as they sound, though if you've ordered a few antipasti they work really well as a part of the greater sum. Move onto a pasta: veal osso bucco, say, with cavatelli (short little hand-cut pasta shapes), or fluffy little gnocchi pillows with braised pork sausage and mustard greens. Dessert-wise, you're better off walking down the street to Bar Italia for a gelato, or order something to drink off Osvaldo's impressive digestivi trolley.